Click here to print. 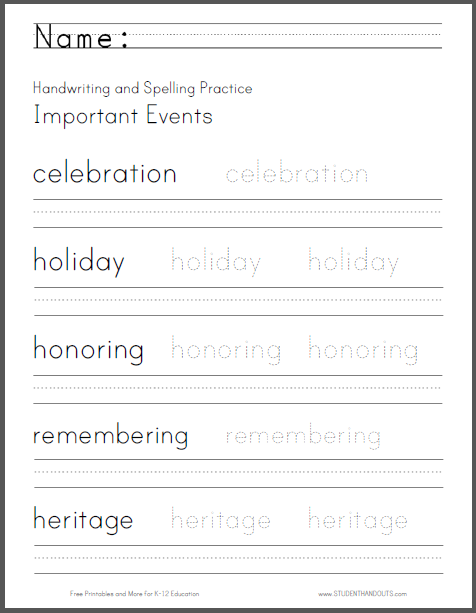 Terms: celebration, holiday, honoring, remembering, heritage. For more of our free printable handwriting and spelling practice worksheets, click here.